Car Accident Caused by a Patch of Ice? Was Your Car Accident Caused by a Patch of Ice? 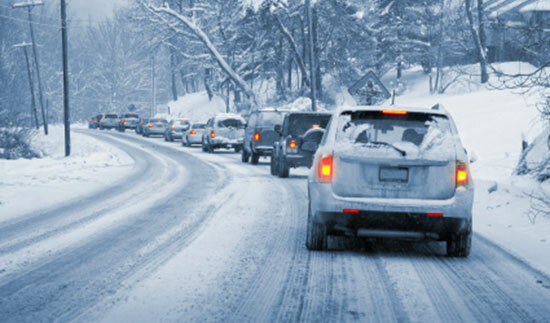 Winter weather brings numerous complications on the road. You know you need to drive with extra care when you see obvious snow or slush, but what if ice shows up without the bad weather? For an isolated ice patch to form, water that shouldn't be on the road has to find its way there. The source of the water (downspout, sewer) can affect who is liable for your accident. The surface itself must be unable to drain like it should. Moisture that should have been cleared or absorbed through proper design may be at fault for your crash. Either of these things must be combined with cold temperatures. That may sound obvious, but even barely freezing temperatures can create dangerous ice. Ice patches can cause deadly accidents. If you lost control of your vehicle and had an accident, you may have a case. Call Edgar Snyder & Associates to help you protect your rights. For over three decades, our firm has helped thousands of people injured in all types of car accidents, including those hurt by isolated ice patches and other winter weather hazards. If you have a case and you hire our highly rated law firm, we go to work for you, investigating the cause of your accident and gathering evidence. Our experienced attorneys will help you get the money you deserve and protect your rights against the government, company, or whoever is responsible for your injuries. We'll deal with your medical bills and frustrating paperwork, so you can focus on getting better. Our goal is to make things as simple as possible for you while giving you the best legal representation. Attorney Michael Rosenzweig covers common causes of winter driving accidents in the videos below. We've handled hundreds of cases where a homeowner discharges their water from their storm drains or from a spring, right onto the side of the road, and oftentimes it spills onto the road and then what happens is the cars track it it grows it freezes. Then you have this huge ice pond right in front of somebody's property. It causes car accidents, even if it's a one-car accident they're very meritorious cases because the homeowner knows that he's discharging his water out onto a public road. You know those spots around town where water runs across the road and it starts to freeze as soon as it gets cold. There's spots that are caused by failure to maintain the road and failure of the homeowners adjacent to take care of their water. Some people refer to isolated ice patches as black ice. All that really means is, it's a clear patch of ice and if the concrete is black or the asphalt's black, it appears to be black. So oftentimes you can't see those ice patches but once they turn to slush and you're driven through them oftentimes they are visible. So if you know somebody who has been in a car accident after encountering black ice or an ice patch, you need to call us because we will get the right investigators, the right engineers, we'll get our lawyers to the scene and we will walk the scene, drive the scene, video tape the scene. We can determine whether the condition is one that is the fault of someone or simply just snow falling. Don't waste a moment – evidence for your case can literally melt away. Contact our firm today so you can start feeling better.